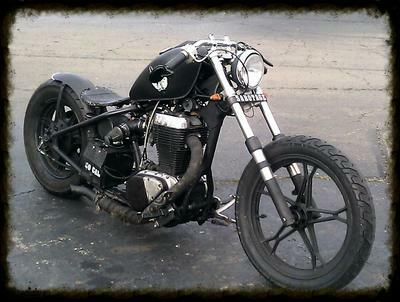 Learn How To Build Custom Choppers, Bobbers, Shop Tools, and More! 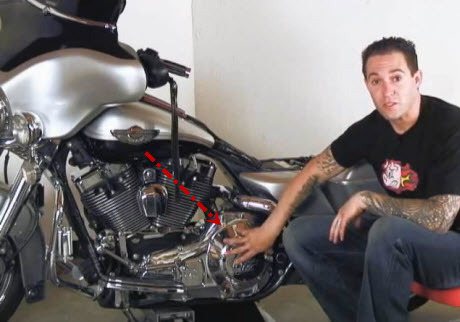 If you want to learn about fabricating parts for custom choppers and bobbers, or if you want to build shop tools and learn how to work with metal then you'll love our FREE Motorcycle Building course. It will inspire you and get you moving in the right direction. We have lots of subscribers and they submit pictures of their builds for you to see and learn from. And they want to see your projects as well! You'll discover things about the building process that you never knew about, saving you a lot of time and money. Start your free bike building course now. We will not share you email address and only send you quality information, guaranteed. "I really enjoy the information that goes beyond the surface of issues and delves into the complete issue A-Z!" Custom Chopper Information, Tips, and Resources! Here's my recommendation to you. 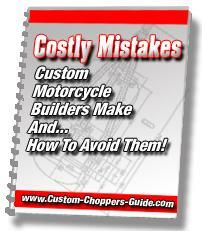 The first thing you should do is sign up for our Free Mini Course called, 'Costly Mistakes Custom Motorcycle Builders Make And How To Avoid Them' . It's a valuable course that is getting lots of positive feedback. You might be wondering who reads this website and what kind of information they are really getting. Well, we try our best to provide good quality content, products, and website features. 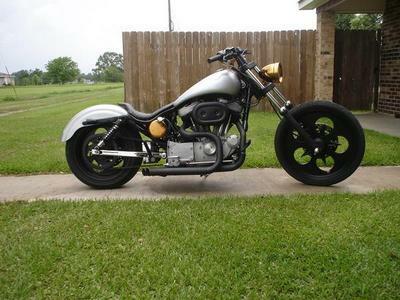 Here are a few examples of custom choppers that have been built by our subscribers. What Type Of Motorcycle Started The Chopper Trend? The answer starts here. There are more Custom Motorcycle related articles below and to the right on the navigation bar. For example, we have articles on the v-twin engine, Harley-Davidson, custom motorcycle insurance, and much more. There are quite a few, so put us in your 'Favorites' folder and come back. Each article we write will guide you to other chopper motorcycle related articles, and we are adding more all the time. To get up to the minute, instant notification of any changes or articles we put on the site, you should read our Chopper Blog. We used to have a newsletter that we loved to send out to our subscribers, but we combined it with our mini course described above. You will receive old and new articles and guides when you subscribe. We also have a couple of guides that are getting great reviews. Here is more information on them. Here's A Little Secret You May Not Know! The reason that professional builders consistently produce amazing custom bikes is because they follow an orderly process that they've learned from years of hands on experience. Even if they work on a small custom project, they still go through a series of steps to ensure the work they do is of the highest quality. Now imagine the custom chopper building dreams that you could achieve if many of those years of knowledge were captured into a simple, easy-to-follow manual - - complete with resources, suggestions and images. When it comes to building a custom motorcycle the most important part is building a solid frame. In the detailed guides, How To Build A Chopper Frame , and Motorcycle Painting Secrets , we've captured many of the secrets professional bike builders took years to figure out. 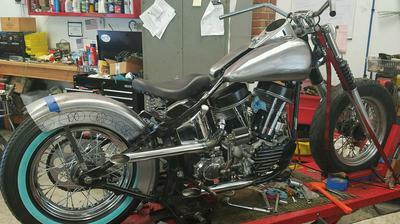 These two articles cover just about everything you need to know to build a killer custom chopper frame and how to paint a custom motorcycle like a pro. They will make building your custom bike easier and faster than ever! These exceptional step-by-step guidebooks are a great one-two-punch and will take all the guesswork out of custom painting and custom frame building. So whether you’re wanting to build a custom chopper frame scratch or you want to paint one, you’ll know that you’re approaching the project just like a professional would do it. You’ll feel your confidence soar as you guide the pieces of your bike building project into place. 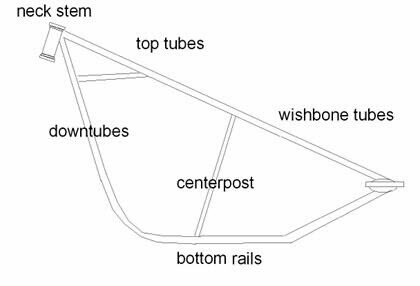 So if you’re ready to take your custom bike building project into your own creative hands, here is where to learn more about how to build a chopper frame, and here's more info on custom painting a motorcycle. Custom Chopper Ideas, Reviews, Special Deals, And More! Did you sign up for our mini course yet? Whether you want to build a custom chopper, you own one, or you want to buy one, our quality FREE mini course covers many of the mistakes builders make and how to avoid them. Plus, we have loaded it with tips, reviews, pictures, and special deals on all kinds of chopper gear, and much more! We don't sell your name or email address to companies. We simply send you solid chopper information you will enjoy. Sign up now. New articles are being written weekly, so come back often and/or sign up for our free newsletter today.